The series will explore "the most intimate aspects" of the rapper's life and decade-plus career, mixing archival footage with family and friend interviews, Variety said. 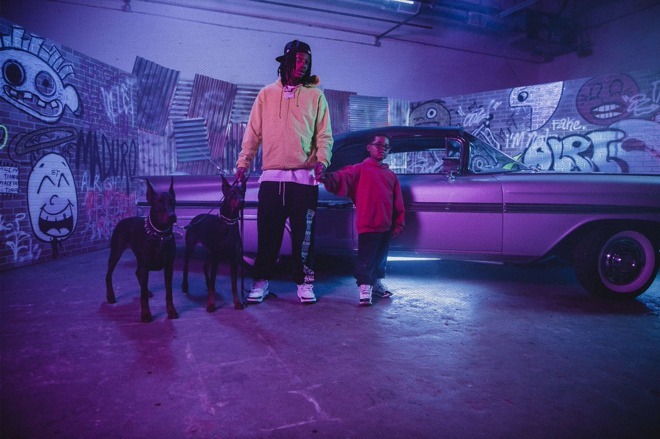 Notably the documentary was produced with the help of two of his associated record labels, Atlantic Records and Taylor Gang — the latter founded by Khalifa, whose real name is Cameron Jibril Thomaz. Other partners include SMAC Entertainment and production company Dirty Robber, which has been nominated for multiple Sports Emmy awards. Apple Music was the first home of Apple's original video content, including shows like "Planet of the Apps" and "Carpool Karaoke." This includes many other documentaries, such as "808" and "Bang! The Bert Berns Story." Most of the service's video however has consisted of promotional pieces, tied to concerts or album releases rather than hard-hitting investigations. That focus could continue following the launch of Apple TV+ this fall, where it would be natural to put documentaries with the most universal appeal. Conceivably Apple might host music documentaries on both services.